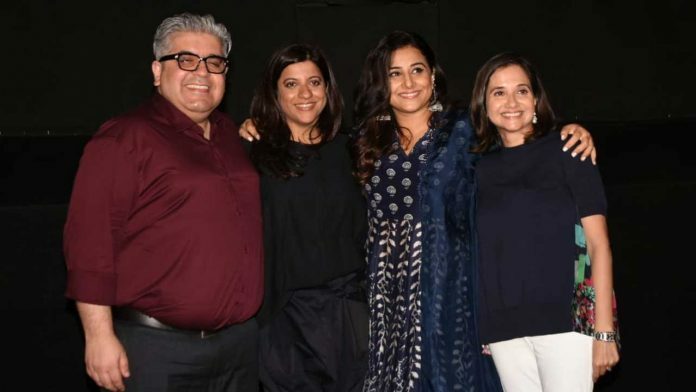 At the recently held Critics Choice Film Awards, actress Vidya Balan, who presented the nominations of best director category, proclaimed Zoya Akhtar, for her film Gully Boy, as a worthy contender for the next year’s award. Gully Boy, which was released earlier this year, saw massive success in the country and overseas. Inspired by rappers of Dharavi, Gully Boy is story shining a light on India’s incipient hip-hop subculture. The film has raked in humongous appreciation from across quarters. Made in Heaven, on the other hand, will keep you hooked as it unveils the not-so-pretty faces of the crazy rich few and the big fat lies at grand weddings. Both the contents have been largely hailed for it’s a unique storyline and impactful character and Zoya is clearly the woman behind the two. Zoya Akhtar’s journey in the first quarter of 2019 wasn’t limited to the big screen; the multi-talented lady was at the front end of the digital age with her series ‘Made in Heaven’ which premiered at Amazon Prime to rave reviews. The series called ‘binge-worthy’ and touted as Amazon’s best series to date, is the story of the other side of the big fat Indian weddings. Zoya Akhtar has already confirmed the season 2 of the show, much to the delight of the fans. The acclaimed director, with four feature films, two short films, and one web series under her belt, has carved a niche for herself in the entertainment industry while single-handedly changing the narrative of contemporary films. Her projects are known for their impactful storylines and multi-dimensional characters and have known to resonate with the audience.